Have you seen missing teenager Chloe Thynne? ​Seventeen-year-old Chloe Thynne has been missing since Saturday October 7. 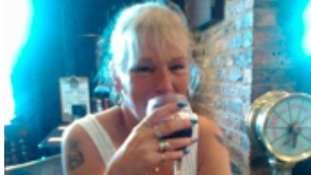 She is currently living in the Sunderland area but also has links to Hartlepool. Her family lives in the East Durham area. Police are appealing for Chloe to get in touch to let them know she is safe. Anybody who knows where she is urged to contact Durham Police on 101. Police are increasingly concerned for the welfare of a man with dementia who has not been seen since Monday lunchtime. John Everatt, 70, was last seen at around 12pm on North Road in Durham City Monday, September 25. Mr Everatt, from Shincliffe, may be using local buses. He was wearing a bright blue coat, green fleece and jeans. He may also possibly be wearing leather shoes. Anyone with any information should call Durham Police on 101. Police have made a further appeal to trace a missing teenage girl from Sunderland. Officers now believe the girl to be with her mother. Last week officers appealed for help to trace 17-year-old India Huggins who went missing from her home on Hadrian Street on Thursday 14 September. It was thought that India - who needs a wheelchair to move around - was in the company of an older woman. Police now believe that the woman in question is India's mother Gail Huggins, 50, who is believed to be missing with India. Officers are growing increasingly concerned for India's welfare and need to speak to both her and Gail to make sure they're okay. India, Gail, or anyone who knows their whereabouts is asked to contact police. Police searching for a missing woman in North Yorkshire say they're investigating every potential sighting they've received. Michael Graham's family raised the alarm when the he did not return to the North East after Sunderland took on Chelsea over the weekend. Owen Goddard has now been found safe and well. Owen Goddard has been missing since 9.30am on Friday 7th April. When he was last seen he was believed to be wearing, grey Nike trainers, a grey tracksuit and a black jacket. Owen has been missing for 5 days and concerns have grown regarding his safety. He is still believed to be in the Middlesbrough area. Anyone with any information as to his whereabouts is urged to contact police. Ellen Mundell from Hookergate Lane in Hookergate was last seen at 9.30pm on Saturday, April 8 at her home address. Anne Chaplain, 73, from Kingston Park, was last seen leaving Marks and Spencers in Northumberland Street, Newcastle city centre, at 12:20pm on Thursday. She became seperated from her husband and he has not been able to contact her. Anne has advanced dementia and is easily confused and vulnerable. Officers are searching the area for her and anyone who has seen her is asked to contact police. Caitlin has since been found. Caitlin Thompson who is 15 and from the Benwell area of Newcastle, has not been seen since around midday on Monday, February 6. She is described as being white, around 5'8" tall and with brown hair. She was last seen wearing white jeans with rips on the knees but could have changed into dark leggings. She had on a long coat with fur on the hood, black boots and was carrying a black handbag.